St. Augustinegrass has been the turfgrass of choice in Central Florida for a number of decades. There is a good reason for this as this is a grass type that thrives in the predominately sandy soils of Florida. With proper care there are few grass types that can compete with St. Augustinegrass for durability and attractiveness. The following unbiased information will provide you with the most up-to-date facts about St. Augustinegrass for Central Florida. St. Augustinegrass requires proper watering. This grass simply will not survive severe drought, and will be weakened or damaged from intermittent drought. When you hire EPLS as your Lawn Care provider, we will inform you if your lawn is receiving adequate water or if your irrigation should be evaluated. Popular varieties of St. Augustinegrass include Floratam, Bitterblue, Classic, Palmetto, Seville and Captiva. Floratam is the best choice for full sun. Others generally perform well in broken sunlight and semi-shade. None of these varieties will tolerate dense shade. 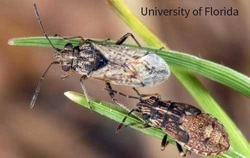 The variety 'Captiva' was recently-released as a chinch bugs-resistant variety. Each of the St. Augustinegrass varieties has its benefits and drawbacks. It is important to take into account cultural as well as pest and disease susceptibility factors when selecting a St. Augustinegrass variety for your property. 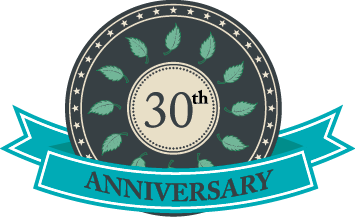 Consult with us prior to making your final decision to maximize the success of your lawn for many years. Chinch bugs are the primary pest of St. Augustinegrass. Chinch bugs will cause the grass to die in a short period of time and must be controlled in a timely manner. 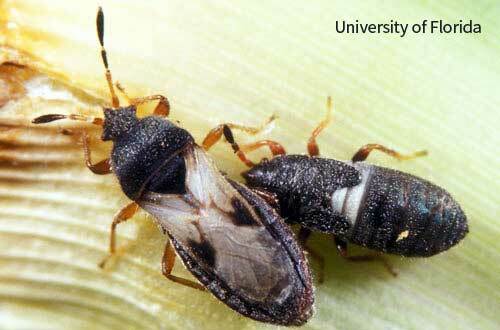 Chinch bugs populations in our area have developed a resistance to certain insecticides. In fact, EPLS has been working closely with University of Florida researchers in monitoring and documenting resistance patterns. The choice of insecticide for chinch bugs management is important for mitigating further resistance potential and to assure success of the treatment. Many insects, such as big-eyed bugs or false-chinch bugs, may be confused with chinch bugs. Some of these look-alikes are actually beneficial insects that prey on chinch bugs and other insect pests! We are your local experts for correctly-identifying and treating for chinch bugs - call us today if you suspect a chinch bugs infestation in your lawn. Other insects that often damage St. Augustinegrass include Tropical Sod Webworms and Fall Armyworms. Infestation by these caterpillars is usually seasonal, and significant turf injury may occur within 24-48 hours. The adults are moths that do not damage the grass. We offer both preventive and curative treatments for Tropical Sod Webworms and Fall Army Worms. Best of all, we use products that specifically-target caterpillars and spare other insects and beneficials. Plant-parasitic nematodes often affect the roots of the grass and limit its ability to withstand other stresses. While often overlooked as a potential problem, nematodes are one of the most destructive pathogens to St. Augustinegrass. We are experts in evaluating, sampling and interpreting the potential damage that nematodes may have on St. Augustinegrass. Contact us today to schedule a consultation with our in-house graduate nematologist. Many weeds can infest St. Augustinegrass. Some weeds are easily controlled, some are more difficult, and others cannot be selectively controlled at all. That is, treatments that would kill some weeds would also kill the St. Augustinegrass. Grassy weeds, and in particular crabgrass, are particularly troublesome due to their fast growth rate and lack of available herbicide management options. Experience and technical knowledge to recognize the limiting factors associated with the growth of the grass. Accurate identification of disease-causing pathogens. Implementation of a comprehensive treatment plan. The professionals at EPLS are experts at taking care of St. Augustinegrass. An important part of our service includes the technical knowledge and the troubleshooting skills that we offer. You can call us for any questions you have about your St. Augustinegrass lawn. A beautiful and healthy St. Augustinegrass lawn is a source of pride for most homeowners. With the right cultural conditions, maintenance and care, your St. Augustinegrass lawn will be the envy of the neighborhood! A: Water your lawn on an as-needed basis. Each lawn is different and may require a different watering schedule. 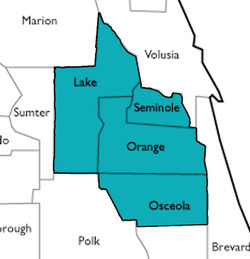 In Central Florida, water restrictions are enforced year-round. Remember that just because you are allowed to water twice per week, it doesn't mean you should. Conversely, the allowed two-days-per-week watering may not be sufficient during prolonged dry spells. Q: How long should I water? A: Water your lawn the length of time required to supply 3/4-1 inch of water per zone. Q: How high should my lawn be mowed? A: Mowing height is different depending on the variety of St. Augustinegrass. The varieties Floratam, Palmetto, Classic and Bitterblue should be mowed at 4-4.5 inches. Seville and Captiva should be mowed at 2.5-3 inches. A: Mow at the recommended height frequently enough to not remove more than one-third of the leaf blade. For example, Floratam St. Augustinegrass that is maintained at four inches should be mowed when no higher than six inches. Q: I have brown areas in my lawn and I've been told that I have chinch bugs. What should I do? (407)532-8188! Chinch bugs are the most serious insect pest of St. Augustinegrass. But browning areas in your lawn are not necessarily caused by chinch bugs. Oftentimes unscrupulous sales people may try to coax a sale by claiming that chinch bugs are causing damage. Always request to see the chinch bugs prior to buying a treatment. Q: I have weeds in my lawn. Why is my lawn not weed-free? What am I paying for? A: Weed-management is often one of the primary reasons for homeowners to purchase a professional Lawn Care service. Proper fertilization, insect pest and disease management, along with proper mowing and watering go a long way towards a healthy, manicured lawn. Weed-management products are tools that are used as part of a comprehensive Lawn Care management plan. It is important to understand that no lawn is 100% weed-free and not all weeds are manageable in all situations. Contact us if weeds are problematic in your St. Augustinegrass lawn. We are here to help. Q: I see thousands of moths flying out of the grass and shrubs. What are they and what should I do about them? 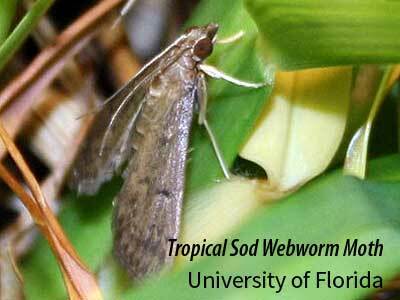 A: The moths are likely the adult stage of Tropical Sod Webworms. They may be observed in May through August. Homeowners are often concerned about these moths flying out of the grass and shrubs in very large numbers. These moths pose no threat as they do not feed on the grass or shrubs. Therefore, insecticide applications for moths-management is impractical. Tropical Sod Webworm caterpillars feed on St. Augustinegrass grass for one to two months. Treatment for these caterpillars may be required to avoid significant damage to the lawn. 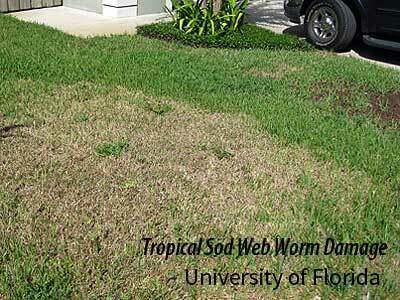 Contact us if you suspect Tropical Sod Webworms activity in your lawn.